Home / Blog / New Granulated Absorbent. 28x times more absorbent than clay, but costs the same! 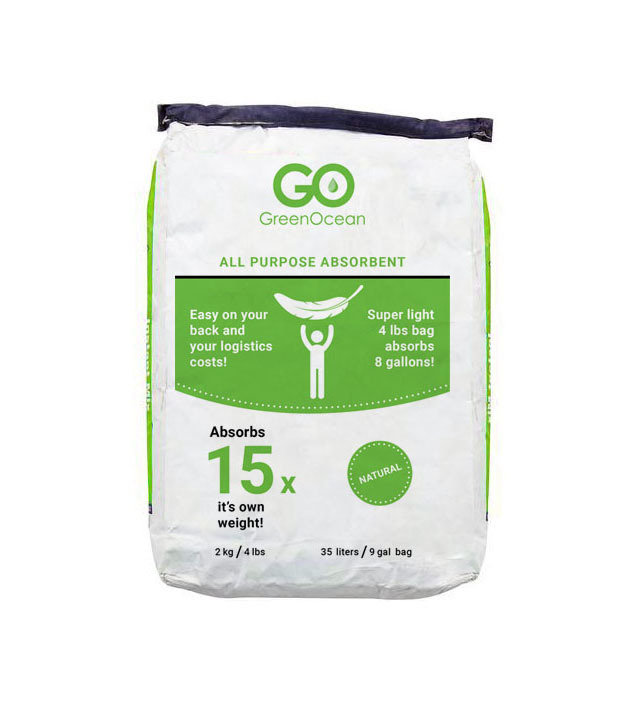 Green Ocean introduces 100% eco-friendly granulated absorbent. Forget about bulky sacks with clay: 40 kg sack absorbs 26 liters of oil. Green Ocean granules weight just 2 kg and absorb 30 liters! Green Ocean is easy on your back and your logistics costs! Contact our sales office to get a free sample! Next Next post: Visit us at Contamination Expo!